Devin Booker scores 20 as the Suns get the win over the Heat, 124-121. Lou Williams leads all scorers with 30 points and adds 10 assists as Los Angeles drops Phoenix. CAREER TRANSACTIONS: Was not drafted by the NBA out of college in the 2014 NBA Draft…signed by the HEAT as a free agent on Aug. 7, 2014…waived by the HEAT on Oct. 25, 2014…signed a contract with the NBA G League on Oct. 29, 2014 and was acquired by the Sioux Falls Skyforce…signed to a 10-day contract by the HEAT on Jan. 8, 2015…signed to a second 10-day contract by the HEAT on Jan. 29, 2015…signed by the HEAT on Feb. 8, 2015…re-signed with the HEAT on July 10, 2016, matching the contract he received from the Brooklyn Nets as a restricted free agent. 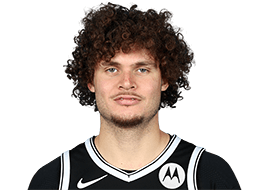 PROFESSIONAL CAREER: Has appeared in 213 NBA regular season games (46 starts) during his four-year career and has averaged 11.0 points, 3.4 rebounds, 2.4 assists and 26.7 minutes while shooting 43.9 percent from the floor, 37.1 percent from three-point range and 77.7 percent from the foul line…has missed 63 games due to injury, 11 as a DNP-CD and one game as a healthy scratch on the inactive list…has scored in double figures on 123 occasions, including 22 games with at least 20 points and two 30-point efforts…his career high for consecutive games scoring in double figures is 14 (Dec. 20, 2016-Jan. 19, 2017)…has grabbed double-figure rebounds twice and has posted one double-double…his career high for consecutive games with a three-point field goal made is 13 (Jan. 5-Feb. 9, 2018)…has 78 multi-trey games…has 56 multi-steal and 19 multi-block games…ranks among the HEAT’s all-time leaders in three-point field goals made (17th), three point field goals attempted (19th) and three-point field goal percentage (20th)…shares the HEAT records for most 20-point games off the bench in a season (11 in 2016-17) and most points off the bench in a game (32 vs. Orlando, Dec. 20, 2016) with Wayne Ellington…owns the HEAT record for most field goals made in a quarter (10 in second quarter on Dec. 30, 2017 at Orlando)…ranks second all-time in HEAT history in 20-point games off the bench (14)…has appeared in 10 NBA postseason games (five starts) and has averaged 6.1 points, 1.5 rebounds, 1.2 assists and 14.2 minutes while shooting 51.4 percent from the floor, 56.3 percent from three-point range and 77.8 percent from the foul line…has missed four postseason games due to injury and five as a DNP-CD…has scored in double figures twice in NBA postseason play…has started all 15 NBA G League games in which he has appeared and averaged 18.5 points (.488 FG%, .808 FT%), 4.5 rebounds, 4.3 assists, 1.00 steals and 34.5 minutes. 2017-18 SEASON: Appeared in 72 games (39 starts) for the HEAT and averaged 11.7 points (.435 FG%, .822 FT%), 3.4 rebounds, 2.3 assists and 28.5 minutes…missed a total of 10 games due to injury…sat out one game due to illness (Nov. 8), one game with a migraine (Dec. 13), one game with a left shoulder strain (Jan. 9), five games with a sprained left ankle (Jan. 17-25) and two games with a left quad contusion (Mar. 1-3)…set single-season career highs in three-point field goals made and attempted, starts and free throw percentage…finished second on the team in charges taken and third in three-point field goals made and attempted…topped the HEAT in scoring 10 times and also led the team in steals 14 times, in blocks 10 times, in minutes and plus/minus seven times each, in rebounds on three occasions and in assists twice…was Miami’s leading scorer off the bench 11 times and also led the HEAT reserves in blocks 16 times, in minutes 14 minutes, in steals 12 times, in rebounds and assists nine times and in plus/minus six times…scored in double figures 43 times, including eight games with at least 20 points and one 30-point performance…recorded a single-season high 37 multi-trey games and hit at least one trey in a career-high 13 consecutive games from Jan. 5-Feb. 9…his 11 consecutive field goals made on Dec. 30 and 22 consecutive free throws made from Oct. 23-Nov. 5 both ranked as the second best streaks on the team in 2017-18…had a season-high 31 points at Orlando on Dec. 30 and set personal career highs for points in a quarter (22 in 3rd Q) and points in a half (27 in 2nd H)…also set the franchise record for field goals made in a quarter with 10 in the second quarter at Orlando on Dec. 30…set career highs in both defensive (9) and total (11) rebounds on Dec. 20 at Boston…had surgery to repair the ulnar collateral ligament in his left thumb after the season on Apr. 30…Season Highs: 31 points (at Orlando, Dec. 30), 11 rebounds (at Boston, Dec. 20), six assists (at Philadelphia, Feb. 14), four steals (vs. New York, Jan. 5), two blocks (five times) and 39:47 minutes (at Atlanta, Dec. 18). 2016-17 SEASON: Appeared in 73 games (no starts) for the HEAT and averaged 13.7 points (.433 FG%, .768 FT%), 4.0 rebounds, 3.2 assists, 1.15 steals and 29.8 minutes…missed a total of nine games due to injury…sat out one game due to oral surgery (Nov. 28), one game due to illness (Dec. 16), one game due to a migraine (Jan. 3), five games with a strained left shoulder (Jan. 21-28) and one game due to a sore left shoulder (Mar. 6)…set single-season career highs in games, minutes, points, scoring average, field goals made and attempted, three-point field goals made and attempted, free throws made and attempted, offensive, defensive and total rebounds, assists, steals and blocks…ranked 16th in the NBA in steals per turnover…his 2,177 minutes were the most by a reserve in the NBA in 2016-17…led the HEAT in assist-to-turnover ratio (2.59) and steals per turnover (0.93)…ranked second on the team in steals, third in points, double-figure scoring efforts, games, minutes, field goal attempts, three-point field goals made, free throws made and attempted, defensive rebounds and assists…topped the HEAT in scoring 10 times, in steals 22 times, in assists 10 times, in blocks and plus/minus nine times each and in minutes six times…was Miami’s leading scorer off the bench on 39 occasions and led the HEAT reserves in minutes 47 times, in assists 41 times, in steals 36 times and in rebounds 25 times…scored in double figures 57 times, including 11 games with at least 20 points and one 30-point outing…scored in double figures a career-high 14 consecutive games from Dec. 20-Jan. 19…set the HEAT single-season record for 20-point games off the bench (11), including a career-high 32-point effort on Dec. 20 vs. Orlando which set the franchise single-game record for points by a non-starter…his 1,002 points set a franchise single-season record for a player who did not make a start and his 13.2 points per game average ranked second in the NBA in 2016-17 for a player without a start…recorded a single-season high 29 multi-trey games and hit at least one trey in a career-high eight consecutive games from Dec. 20-Jan. 4…in addition to points (32), set career highs in field goals made (13) and attempted (20) on Dec. 20 vs. Orlando…handed out a career-high nine assists on Mar. 15 vs. New Orleans…recorded a career-high five steals on Mar. 21 vs. Phoenix…Season Highs: 32 points (vs. Orlando, Dec. 20), nine rebounds (at Philadelphia, Nov. 21), nine assists (vs. New Orleans, Mar. 15), five steals (vs. Phoenix, Mar. 21), four blocks (vs. Indiana, Dec. 14) and 37:56 minutes (vs. Orlando, Dec. 20). 2015-16 SEASON: Appeared in 36 games (five starts) for the HEAT and averaged 8.7 points (.486 FG%, .797 FT%), 3.0 rebounds, 2.2 assists and 24.0 minutes…missed a total of 44 games due to injury and was a DNP-CD twice…missed 11 games with a strained left shoulder (three from Dec. 11-14, five from Dec. 18-26 and three from Jan. 29-Feb. 2)…sat out the final 33 games of the regular season after having rotator cuff surgery in his left shoulder on Feb. 3…set single-season career highs in games played, starts, minutes, points, scoring average, field goals made and attempted, field goal percentage, three-point field goals made and attempted, free throws made and attempted, offensive, defensive and total rebounds, assists and blocks…topped the HEAT in scoring, minutes and assists twice each, in steals nine times and in blocks once…was Miami’s leading scorer off the bench 16 times and also led the HEAT reserves in assists 17 times, in steals 15 times, in rebounds 10 times, in blocks on nine occasions in in minutes five times…scored in double figures 14 times, including one 20-point performance…Season Highs: 20 points (at Charlotte, Dec. 9), eight rebounds (twice), five assists (twice), two steals (four times), two blocks (twice) and 38:52 minutes (at Oklahoma City, Jan. 17). 2014-15 SEASON: Split the season between the HEAT and the Sioux Falls Skyforce of the NBA Development League…appeared in 32 games (two starts) for the HEAT and averaged 5.9 points (.419 FG%, .681 FT%), 2.5 rebounds, 1.3 assists and 18.8 minutes…officially missed nine games as a DNP-CD and one game as a healthy scratch on the inactive list…ranked among the NBA rookie leaders in steals per game (7th), assists per game (15th) and scoring average (18th)…topped the HEAT in scoring twice, in steals seven times, in minutes three times, in blocks twice and in rebounds and assists once each…was Miami’s leading scorer off the bench five times and also led the HEAT reserves in steals 13 times, in assists seven times, in blocks five times and in minutes and rebounds four times each…scored in double figures on nine occasions, including a pair of 20-point performances…grabbed double-figure rebounds once and posted one double-double…set career highs in both points (26) and field goals made (10) on Mar. 2 vs. Phoenix with the 26-point effort ranking as the third highest single-game scoring output by a HEAT rookie in a non-start…became one of only 18 players in franchise history to play all 48 minutes in a non-overtime game for the HEAT in the season finale at Philadelphia on Apr. 15…in addition to setting a career high in minutes played at Philadelphia, he also set career highs in field goals attempted (15) and defensive (8) and total (10) rebounds and tied his career high in steals (4)…made his NBA debut at Golden State on Jan. 14 and had two points in 1:44 of action…made his first NBA start at Washington on Mar. 6 and tallied 11 points, five rebounds, three assists and one steal in 36:24 of action…started all 15 games in which he appeared for the Skyforce and averaged 18.5 points (.488 FG%, .808 FT%), 4.5 rebounds, 4.3 assists, 1.00 steals and 34.5 minutes…missed six games (Nov. 29-Dec. 13) due to a strained groin…scored in double figures 13 times with the Skyforce, including six games with at least 20 points and one 30-point effort…NBA Season Highs: 26 points (vs. Phoenix, Mar. 2), 10 rebounds (at Philadelphia, Apr. 15), six assists (vs. Sacramento, Mar. 7), four steals (twice), two blocks (at Boston, Feb. 1) and 48:00 minutes (at Philadelphia, Apr. 15). Played four seasons at Fresno State University, appearing in 128 career games (87 starts) and averaged 10.5 points (.456 FG%, .716 FT%), 4.8 rebounds, 2.4 assists, 1.09 steals and 27.6 minutes…finished his career ranked 16th on Fresno State's all-time scoring list (1,350 career points)…as a senior, started all 35 games in which he appeared and averaged 15.9 points (.479 FG%, .805 FT%), 7.3 rebounds, 2.9 assists, 1.03 steals and 33.6 minutes…named to the All-Mountain West Second Team…shot the sixth-highest single-season three-point field goal percentage (.375) in school history…scored a career-high 25 points twice (at Pacific on Nov. 23, 2013 and vs. Air Force on Jan. 8, 2014)…as a junior, appeared in 29 games (28 starts) and averaged 12.1 points (.461 FG%, .709 FT%), 4.1 rebounds, 2.0 assists and 29.6 minutes…as a sophomore, appeared in 33 games (23 starts) and averaged 9.3 points (.422 FG%, .686 FT%), 4.6 rebounds, 2.5 assists, 1.33 steals and 29.6 minutes…as a freshman, appeared in all 31 games (one start) and averaged 4.4 points (.441 FG%, .540 FT%), 2.9 rebounds, 2.0 assists, 1.10 steals and 16.9 minutes. Full name is Tyler Ryan Johnson…is the son of Jennifer and Milton Johnson…his mother, Jennifer, serves in the United States Air Force…has three brothers (Brandon, Logan and Gabe) and a sister (Lauren)…is engaged to Ashley Fletcher…has two sons (Dameon Johnson and Roman Johnson)…his brother Logan verbally committed in September of 2017 to accept a basketball scholarship from the University of Cincinnati beginning in 2018…majored in communications at Fresno State…enjoys cooking…when his career is over he would like to coach his high school team…suffered a broken jaw as a member of the HEAT at the 2015 Orlando Pro Summer League…wears size 13 sneakers.